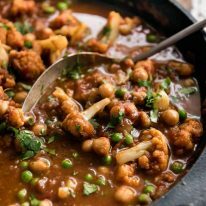 This Cauliflower and Chickpea Curry is an authentic Indian homestyle curry that is one of those rare gems that’s made with spices that are sold at local supermarkets. 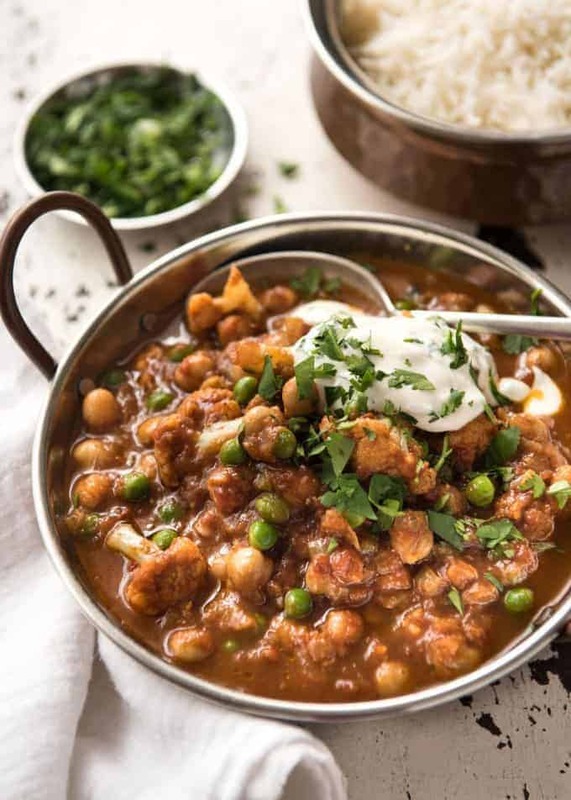 It is made from scratch, loaded with classic Indian spicy flavours, and it’s super healthy too. 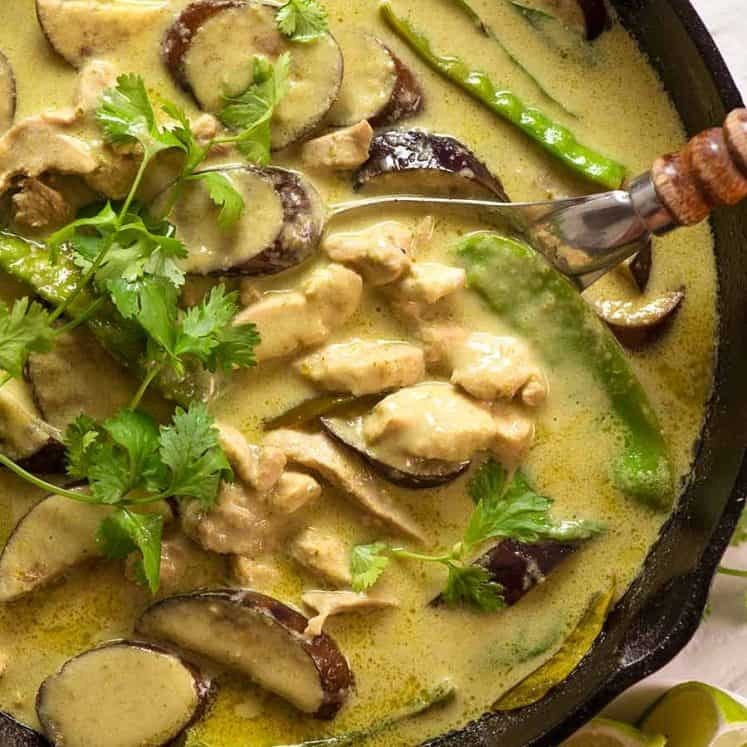 Use this recipe for curry sauce as a base and toss in whatever veggies and proteins you want! I know most people do Meat Free Monday. It has a nice ring to it, doesn’t it? But in my world, meat free meals are towards the end of the week after I’ve depleted my supply of fresh meat from weekend grocery shopping. So for RecipeTin Eats, it’s Meat Free Wednesday, not Monday. Let me try announcing that, see if it has the same ring to it. Meat Free Wednesday is here!!! Hmmm. Nope. Doesn’t sound quite the same, does it? I absolutely adore Indian food. I don’t eat Indian out as often as I want because Indian food in Australia – and I think in many Western countries – is notoriously high in fat. Delicious, but not that good for you. ? At least, not the popular curries – Korma, Rogan Josh etc. As for making it at home, most Indian curries require a trip to an Indian grocery store to track down harder to find spices, like black mustard seeds, fenugreek leaves. 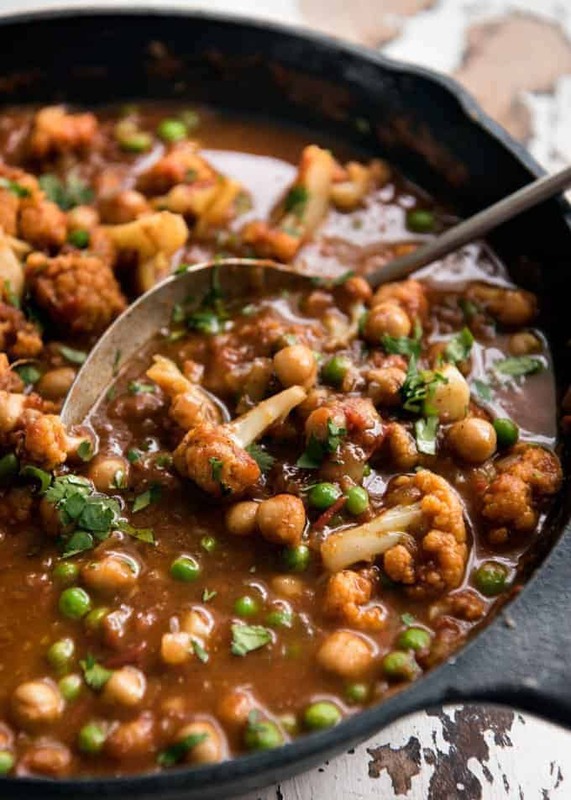 However, this Cauliflower and Chickpea Curry, along with my Butter Chicken, are two rare exceptions. I can make this pretty much anytime I want because I always have the spices in my pantry, a can of some sort of beans plus some kind of veggie suitable for throwing in. It’s a standby curry!!! I love it! When I shared my Vegetarian Mexican Lasagna a couple of weeks ago, I undertook to post a meat free meal every fortnight for the rest of 2016. When it comes to meat-free, I think many carnivores such as myself can be skeptical, worried that the meal won’t be satisfying enough, will lack flavour and oomph. Heat oil in a large deep skillet or pot over medium high heat. Add garlic and ginger, cook for 1 minute. Add onion and cook for 6 - 8 minutes or until golden and caramelised. Add coriander, turmeric, cumin and paprika. Cook for 1 minute. Add chicken stock and tomato. Stir to combine, bring to simmer and cook for 5 minutes. Add cauliflower and chickpeas. Cook for 15 minutes or until cauliflower is soft and sauce has thickened. If sauce is thickening too quickly (Note 3), put the lid on. Adjust salt to taste, and add sugar if using. Add peas and garam masala. Cook for 2 minutes, then remove from stove. Stir through most of the coriander. 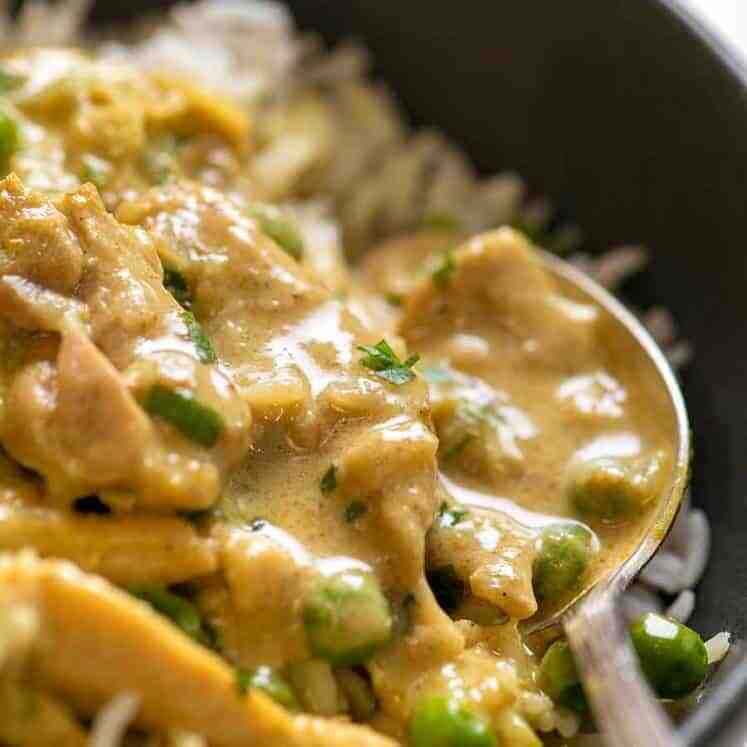 Serve curry with basmati rice, garnished with reserved coriander and yoghurt on the side. 1. Traditionally, Indian curries are made with fresh tomatoes that are cooked down. I use canned for convenience and also because it makes a nice sauce. But some canned tomato can be a bit sour - the better quality, the sweeter they are (naturally sweet). If you think your curry is a bit sour, it's probably from the tomato so just add a touch of sugar. 2. Garam Masala is an Indian spice mix that is widely available nowadays. In Sydney, it is sold in supermarkets (Woolies, Coles, Harris Farms) in the spice section and costs the same as other herbs and spices. 2. 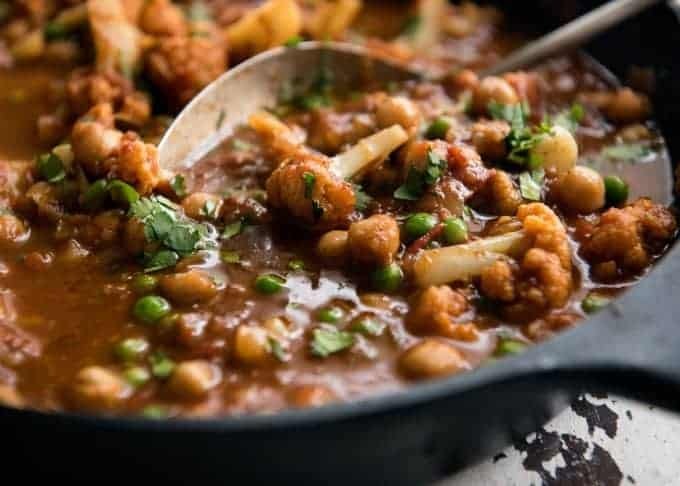 The curry might look watery on the surface even after simmering for 10 minutes, but just give it a good stir because the thick part of the sauce will have settled on the bottom of the skillet. 3. The thickness of crushed canned tomato really varies from brand to brand. If you are using a brand where the tomato is almost pureed so it is more like tomato passata, then your sauce may thicken really quickly. If this happens, just cook with the lid on. 4. This is adapted from a recipe I got from a cookbook I borrowed from the local library! I am not 100% sure which one it was, but I think it was "50 Great Curries of India" by Camellia Panjabi. 5. Nutrition per serving, curry only (excludes rice and yoghurt). 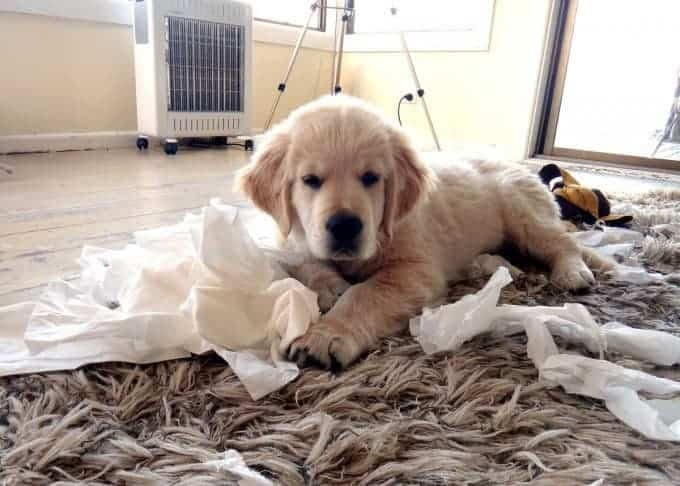 Memories of when he was a puppy…..You just can’t get mad when you come home and are greeted with a sight like this…. At least he didn’t get into my SHOES! Tried this tonight but used veggie stock instead of chicken to make it fully vegetarian. Was so yummy and filling! Oh btw the measurement for the stock is missing a metric value. Thanks for including both metric and imperial in all your recipes! Thanks for this Mavis – I’ll have this changed! LOVE all your recipes! Every single one has been a hit so far. 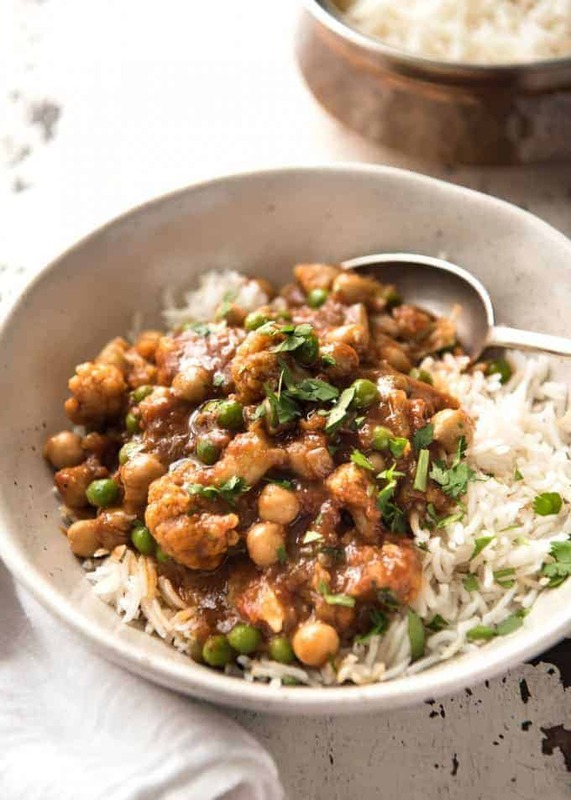 Since having a baby your veg curry and other freezer friendlies have been my go to! 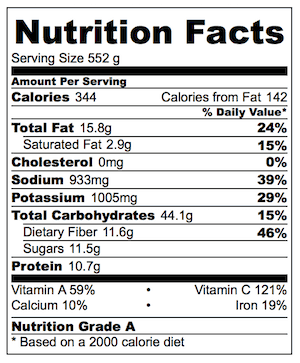 Just wondering… how would I add tofu to this for a bit more protein? We’re about to implement a weekly meat-free (one)day in our house! This one is on the list. How would you suggest I prepare the meal with dried chick peas? Thanks heaps! Deliciously satisfying! I threw in a lonely carrot, and a zucchini. I’m looking forward to the leftovers! This looks delicious!! I’m exicted to try it. I would love to see your take on a great Biryani! It’s most definitely on my list! 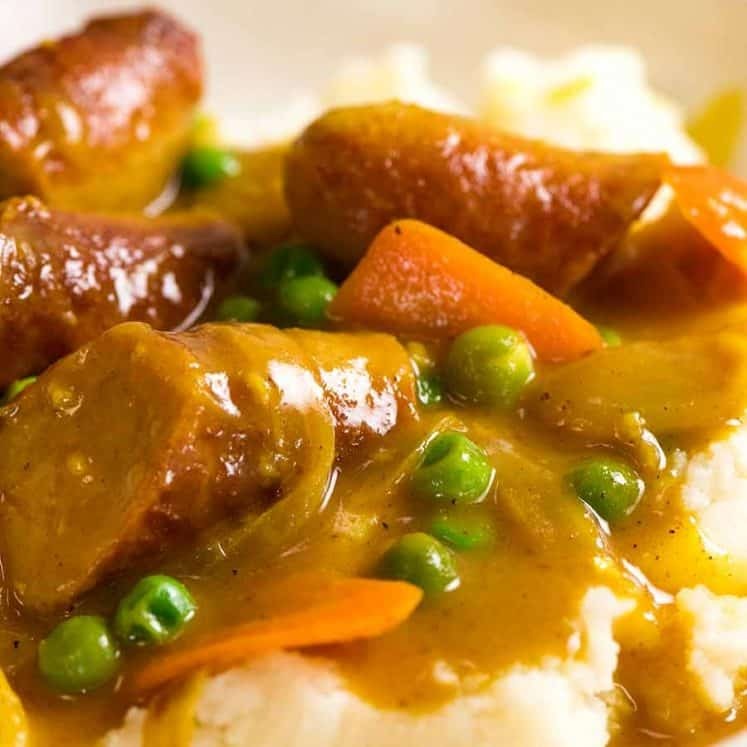 Made this for dinner tonight….exactly according to the recipe. It was delicious. Initially I was a little concerned about the number of spices, but it was very good and definitely a keeper! So glad to have found your blog! Thanks!